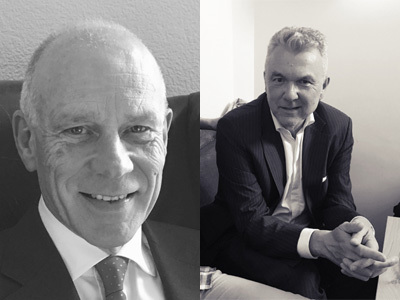 Jon Hilton, Stephen Ball and Roger Atkins – high profile names from some of advanced engineering’s most exciting sectors – have been confirmed as ‘ambassadors’ for the Silverstone Technology Cluster. All three will assist the STC’s promotion of the region within an hour’s radius of Silverstone – identified in a high profile SQW report as being home to around 4,000 companies with exceptional capabilities in high-tech engineering and recognised by the UK government as having ‘latent potential’. Jon hails from a background in Formula 1 engine technology. 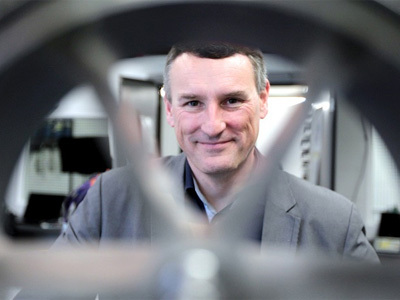 He founded Flybrid – an SME which developed pioneering hybrid flywheel technology that was bought for £26 million. He has also been President of the Institution of Mechanical Engineers (IMechE). Jon enthused: “I’ve not seen anything else like the STC anywhere else in the world. But I have seen where collaboration – even between fierce competitors – can work and the STC has a lot of potential in this respect. He commented: “I’ve been immediately struck by the opportunities that STC gives start-up companies and SMEs and also the STC’s very clear desire to pull groups of capabilities, people and businesses together. Roger is a consultant to many motor manufacturers in electric vehicle technology and his knowledge also means he has the ear of influential organisations as well as Government. Via his business, EV Outlook, his online blogs have gained him 150,000 followers. He said: “STC is a very smart move and we’re only just getting started. Geographically it sits in a very good location in terms of movement up and down the country as well as being home to many talented people within a one hour radius. It has a huge amount going for it. The STC Board includes high tech business estate Silverstone Park’s developer MEPC which, with Barclays, played a crucial role in commissioning the original SQW research which identified the Cluster’s true existence. Also on the Board are Grant Thornton, EMW, Hexagon Manufacturing Intelligence and Aylesbury Vale District and South Northamptonshire councils.